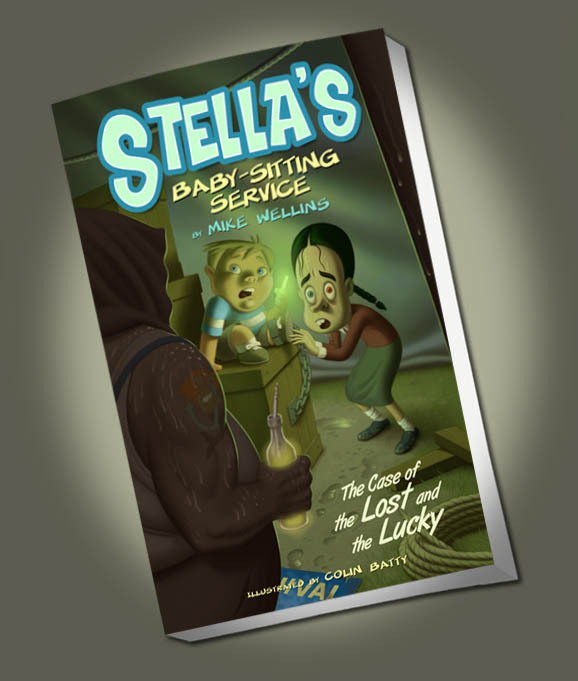 Hello, I am Stella, supernatural investigator and regrettably, babysitter. Don't laugh, it pays the bills and I get top dollar, which funds my ongoing investigations and research. Our local paper here in Trickle Falls, the Trickle Times Standard, is too scared to print any of my stories, as is The Mallard, the local high school rag. The staff at the Mallard are more interested in talking about what people are supposed to wear to the stupid dance than serious journalism. Hence, the internet, and this is the place where you can get the truth, the repository of all my hard work. Take a look, if you dare. Is it real? Can it be believed? Are your eyes playing tricks on you? Are you playing tricks on your eyes? You sure ask a lot of questions. ...Great news! My SECOND book is out. This book tells the story of luck and ghosts, called "The Case of the Lost and the Lucky". This was my most challenging case to date, and you'll just have to read it to find out how and why. Click here to read more and get yours. My friend Colin Batty helped me again with the informative illustrations. He's so cool! Below the book, check out a movie clip of one of the characters! Click on the book to preview! Double click the picture above to see a cool clip of Stella's evil nemesis in this new adventure. ...In case you need to catch up, below is my first book. Click here to read more and get yours. 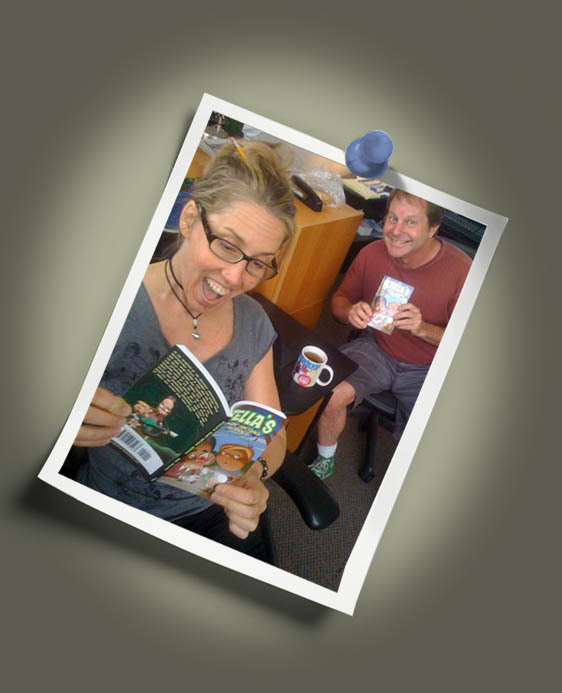 106 pages of intrigue and suspense, plus 31 amazing illustrations drawn by my friend Colin Batty! Click on the book above to preview! Meet Stella Sedgewick. 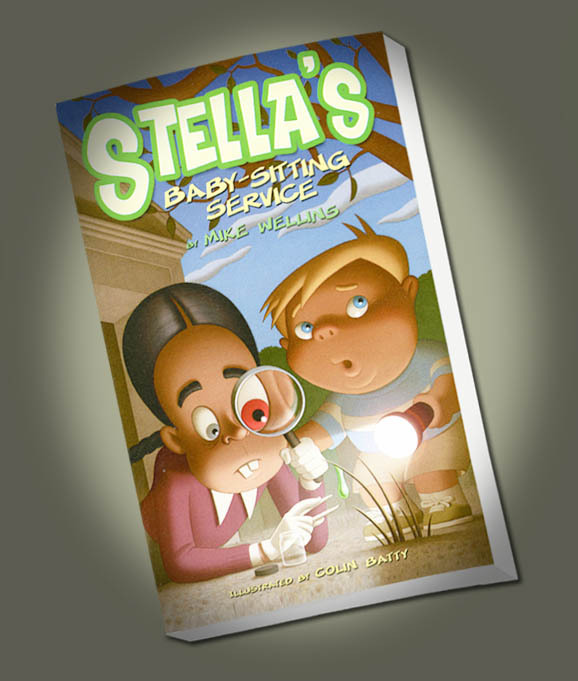 In the tradition of the greatest supernatural investigators, Stella can hold her own. 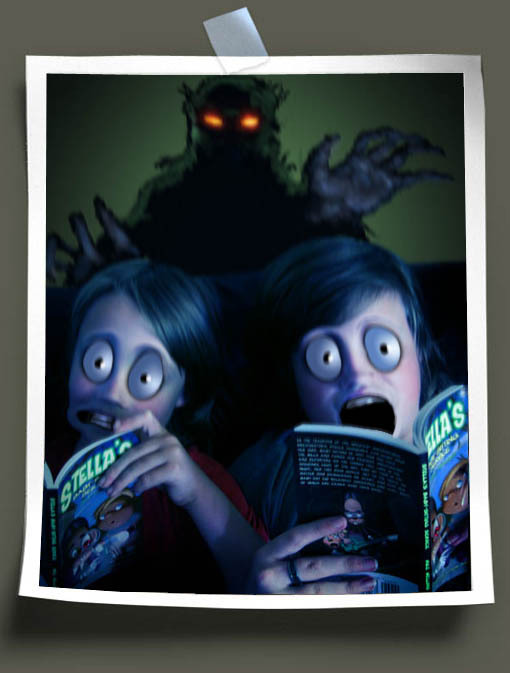 Babysitting is just how she pays the bills and funds her passion: investigating and reporting on the things that lurk in the shadows, light up the sky and go thud in the night. Her two main goals: get to the truth, no matter how dangerous or scary, and keep her baby-sat kid relatively unharmed and alive, both of which are easier said than done.